Purchasing a fleet of two-way radios is a beneficial investment, but in order to get the most out of your money how do you extend the life of two-way radios? 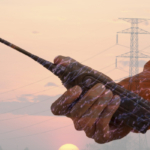 Some two-way radios prove powerful for 20 years, while others give out after only a few years of consistent use. Purchase a two-way radio that is resistant to water, dust and impact. Use two-way radio belt clips or wall mounts in order to reduce the chance radios are dropped and subsequently damaged. Use trickle charging, as opposed to fast charging. Trickle charging may take 8-12 hours to fully complete but fast charging is known to decrease battery lifespan. Only resort to fast charging when absolutely necessary. Replace battery, antenna and any other parts in need of repair in a timely fashion. Even if your radio remains in in good condition 5 or 10 years from now, how do you ensure that it still offers relevant technology capabilities? With each passing year technology improves, offering a world of new wonders. The great thing about two-way radios is that you can always download the latest updates onto the device. According to the Product & Purchasing Manager at BearCom, Hugh Johnston, “Digital upgrades are constantly available.” Johnston added that this allows you to constantly update older radios with new firmware and applications by simply bringing your radio to a qualified technician. The first thing to go on most two-way radios is the battery. The average battery typically lasts between 18 and 24 months. This time span varies depending on how many times the device is charged, used and re-charged. If the battery stops holding a charge you only have to replace the battery, not the entire radio. When replacing a battery it’s important to properly dispose of the old battery. The EPA considers rechargeable batteries a hazardous waste, and requires you to contact your local Hazardous Waste Authority or recycling program to find the correct location for disposal. The next component that tends to go out is the antenna, which can also be replaced in the instance it breaks. The line of work a radio is used for will largely contribute to its lifeline. Regardless of industry, most radios undergo a lot of wear and tear since they are used daily. Two-way radios are often dropped, stepped on, and even run over. Radios used in outdoor environments are at the greatest risk, such as construction sites where there is great exposure to water, dirt and impact damage. Two-way radios are often used for emergency purposes, when handling tends to be rough and conditions are not ideal. In other words, there are plenty of opportunities for something to go wrong with a two-way radio. 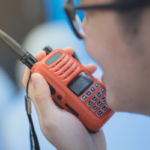 When searching for the appropriate two-way radios for your business it’s important to address what sorts of exposures your radios are most likely to encounter. Then, seek out the options that are most resistant to these factors to increase the time you get out of two-way radios. When Is It Time To Get New Radios? According to Mobile Solutions, only 18% of businesses are prepared to deal with mobile technology changes. 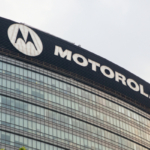 How do you know when it’s time to update your two-way radio technology? Staying up to date on the latest radio technology will help you decide when it is time to upgrade to a new radio system. If your radios are still in good condition and working efficiently, there isn’t necessarily a reason to upgrade immediately. If your fleet of radios are not working as they once did, you need more range, or the average range has greatly decreased it might be time to look into new radios. If you are considering getting new radios anytime soon it’s important to save ahead of the expense. 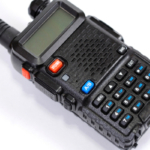 If you do not have the funds to buy new radios, leasing radio equipment may be an option as well.